Happy Monday and welcome to a new cook with me Monday. 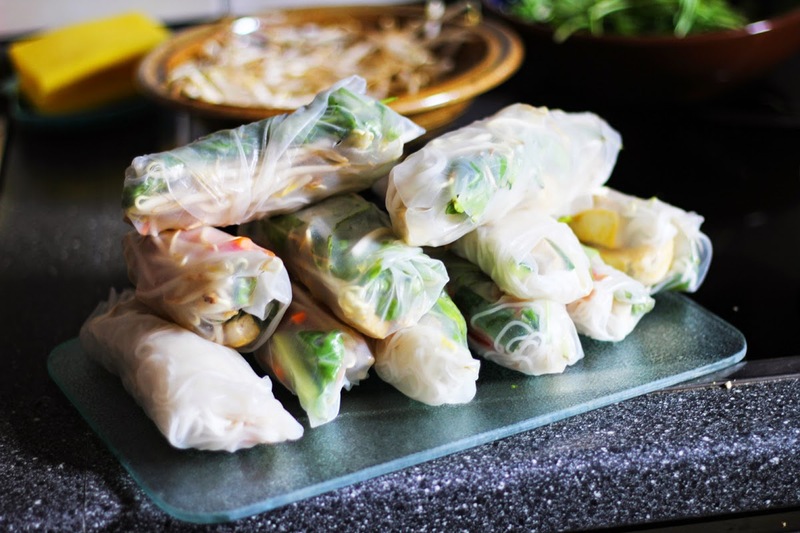 Today I want to show you guys how you can easily make your own delicious summer rolls at home. Honestly, I'm super obsessed with them since these are not only a great snack, they also provide you with good carbs and are the perfect way to combine your veggies in a roll. 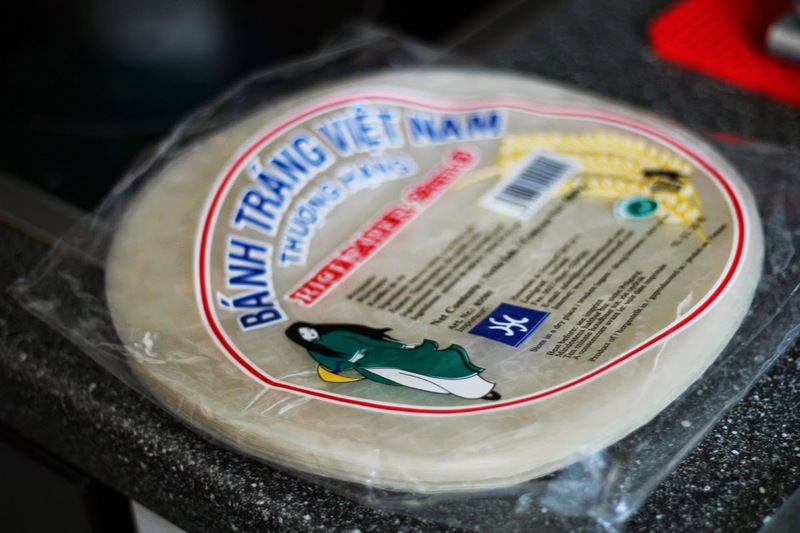 What you actually need is only rice paper, I prefer the round version, and your favorite vegetables. 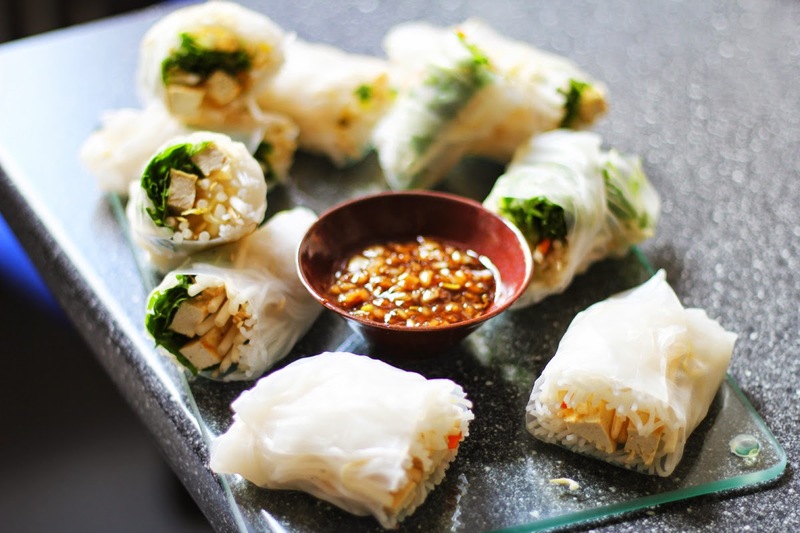 I also want to try it with fruits soon but for some reason I always went for the spicy option, since summer rolls are my mum's favorite food and I love to see her getting happy with my healthy and homemade vegan food. 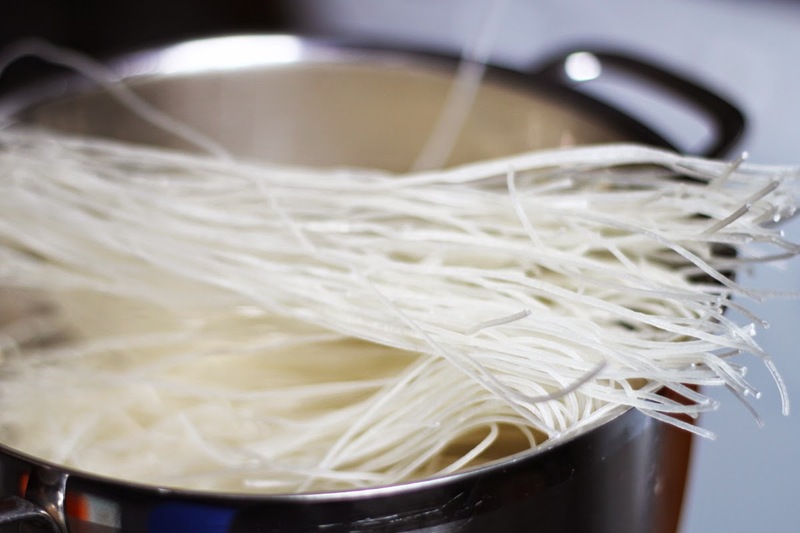 So you need to put the rice paper in hot water for a few seconds, put it out and fill the middle with the ingredients you like. I went for carrots, cucumber, tomato, avocado and rice noodles. 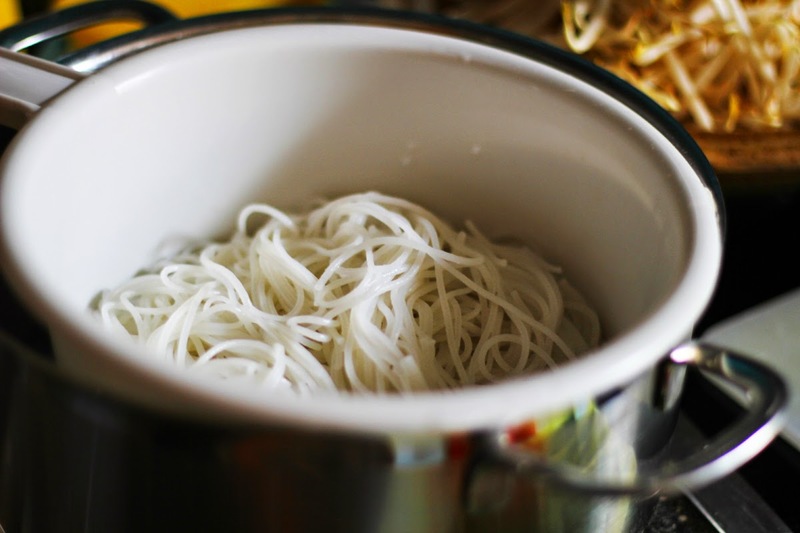 You can either take white or brown rice noodles or buckwheat. It's actually on you. I used the "normal" ones this time, since the brown rice noodles were sold out. 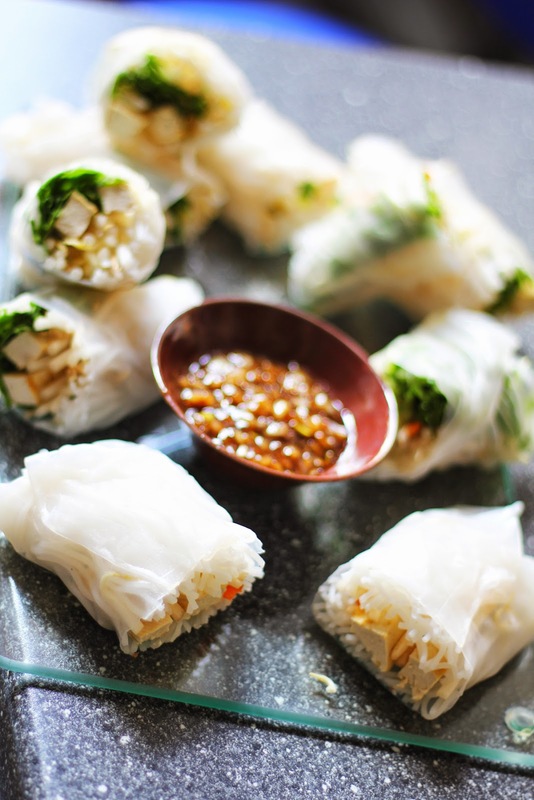 All you need to do now it to put your favorite ingredients on the rice paper and roll it - that's it! If you would like to go for a dip I have also a recipe for you. My mum likes onions so I made her a sauce including onions. 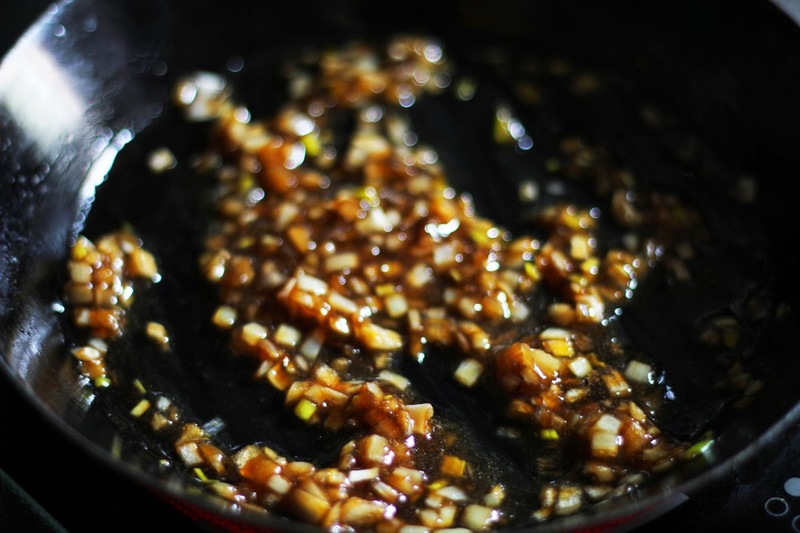 You take 1 tablespoon soya sauce, 2 tablespoons rice syrup and add a little water to it. Cook it on high heat and put onions into the liquid. 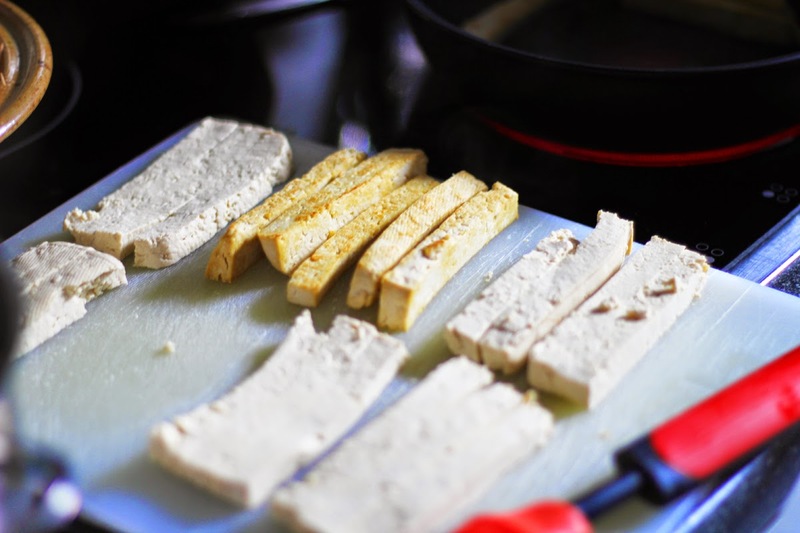 Serve hot or cold and enjoy this phenomenal recipe. I love it and will might go for it tomorrow!